This guide provides an end-to-end overview of the process, troubleshooting common connectivity issues, and answers to frequently asked questions. The 1x9 transceiver is offered on the fiber optic fast Ethernet (100 Mbps) ports. The notation “1x9” refers to the industry-standard pin-out of 1 row by 9 pins. Sixnet offers these transceivers with dual ST or SC style connectors. They are available as Multimode, Singlemode Short Haul (SX), or Singlemode Long Haul (LX). Other variations are available as special order. These transceivers are offered on the fiber optic gigabit Ethernet (1000 Mbps) ports. These transceivers plug into a cage assembly that is already in place in the Sixnet switch. They are more compact than the more traditional 1x9-style transceivers. Sixnet offers these transceivers with dual LC connectors. They are available as Multimode, Singlemode, or Singlemode Long Haul. Other variations such as CDWM (Coarse Wavelength Division Multiplexing) are available as a special order. The following tables give the performance specifications of the fiber transceivers. *For transmitter power, the higher the number the better. The opposite is true for receiver sensitivity, the lower the number the better. Note: The parameters listed in this table are guideline numbers only. Refer to your cable specifications for more accurate values. There are two primary ways to calculate how far you can go with your fiber optic links. To be safe, you should go by the shortest result from the two methods, if you use both such as you can with Multimode fiber. Also, you should design for up to a 25% safety margin to be conservative and allow for degradation of the signal and cable over time. An industrial user has a series of Ethernet devices operational at Location A. They are building a new facility 8km away. At this distance they are certainly going to have to plan on using single mode fiber. They want to transmit (or plan to transmit) at Gigabit speeds. The SM fiber that they have decided to use attenuates at a rate of .3dB/km. There will be 3 splices along the route and then connectors at each end. Looking at the Gigabit fiber transceiver performance specifications, we can see that the single mode Gigabit fiber transceiver has a worst-case power budget of 11dB so this should work satisfactorily in this proposed fiber link. * The maximum distance numbers are guidelines only. They are highly dependent on your cable and transceiver specifications. Make sure that all of your connectors are clean. Even a little bit of dust, dirt or grease on a connector face can significantly degrade a fiber signal. This includes the main fiber optic link as well as any patch cables that you may be using. When cleaning, it is important to use lint-free swabs or wipes, preferably of a clean room quality. These can be used dry or wet (with 99% isopropyl alcohol solutions). Make certain that you are not cleaning an active fiber, as the laser can cause permanent damage to your eyes should you look into the end face. Additionally, it is not necessary to scrub the end face, rather to just gently wipe it clean and then double-check the link. If additional cleaning is required simply repeat this process. Ensure that the cable type you are using matches the transceiver type. That is, Multimode cable requires Multimode transceivers, and Singlemode cable requires Singlemode transceivers. Ensure that the patch cords you are using match the fiber link cable. Again, Multimode needs to be used with Multimode, and Singlemode needs to be used with Singlemode. Additionally, it is important that 62.5um is used with 62.5um and 50um used with 50um. If the fiber cores are not aligned correctly significant attenuation will occur. Make sure that all connectors are plugged completely into their proper ports. Again, if end faces are not lined up correctly with transceivers and/or mated fiber ends, the system may fail due to excess attenuation. Make sure that the transmit cable at the near end is the receive cable at the far end. There needs to be a crossover for a fiber link to work correctly. Be sure to factor in all patch cords that may be used. Q: I see no link activity on the fiber transceiver(s). A: Please see Section 4 above. Q: Can I connect a device with an SC or ST connector on one end to a device that has an LC connector on the other end? A: Yes, order a fiber optic cables with different connector types (SC, ST or LC) on each end. 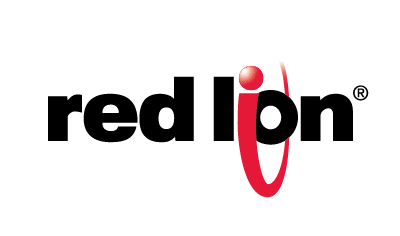 Q: Does Red Lion sell fiber optic cable? A: Yes, multi-mode and single-mode duplex fiber optic patch cables with SC, ST and/or LC terminations at various lengths. Please refer to our product listings for more information. Q: I have tried all the steps in Section 4, but they still have only intermittent or no communications on the link. Is there anything else I can do? A: Please send a complete description of the problem, model number, and the date code/serial number of the unit to support@redlion.net to be issued an RMA number for the evaluation and repair of the unit.